We're hosting an art show at the brewery from 6pm-9pm on October 12th! We're going to have live music by Brother Earl and Bad Leaf who will be playing outside on the patio. We will also have a ton of local artists showcasing their work. 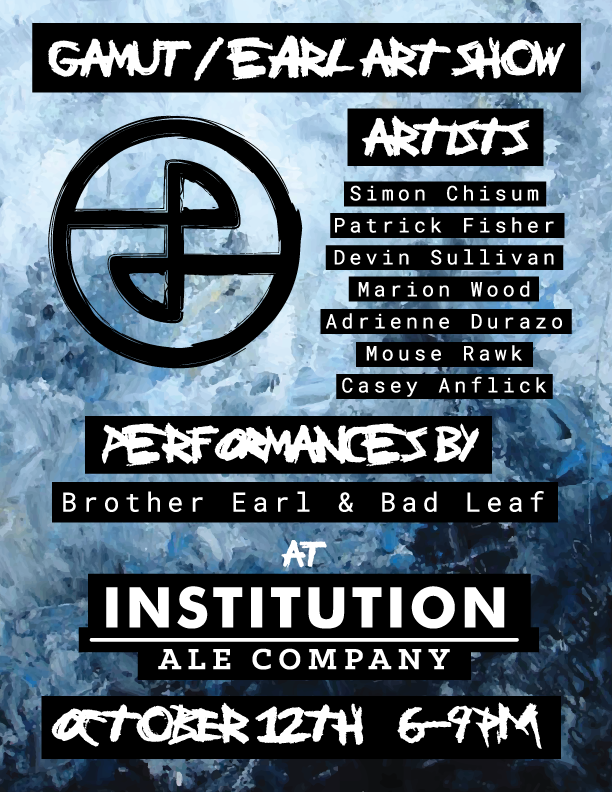 Artists include Simon Chisum, Patrick Fisher, Marion Wood, Adrienne Durazo, Mouse Rawk, Devin Sullivan & more! Come on over and enjoy the evening with some cool art, music and beer.